What’s Behind the Hemisphere Deal? Did you catch the recent announcement on the Hemisphere Precision Products Group sale? It would appear that the deal has closed, and the Ag and GNSS businesses will be separated and go their own ways. 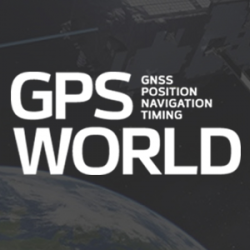 UniStrong Science & Technology Co. in Beijing China has acquired Hemisphere’s precision GNSS business for $15 million. The Ag business will be renamed AgJunction and remain on the Toronto TSX stock exchange with a new ticker symbol, and the GNSS company will in fact become a Canadian subsidiary of UniStrong, with two locations; one in the U.S. and one in Canada. Hemisphere GNSS Inc. will have its business headquarters in Scottsdale, Arizona, and the Canadian operation will remain in Calgary, Alberta. For those of you who have followed the Ag business, you may recall that Hemisphere had recently bought a company by the name of AgJunction, which focuses on analysis and delivery of real-time prescriptions to in-cab controllers on suitably equipped Ag equipment. So the Ag business will now operate under that name. As far as the precision GNSS business is concerned, I managed to corner Phil Gabriel, who is the new president of Hemisphere GNSS, and Jon Ladd, who is the new chairman of the board, and ask them about the deal with UniStrong. The Loka for mobile GIS by UniStrong. Basically, the old Hemisphere had been challenged with limited resources spread over too many programs, with profitability suffering. So, back almost a year ago a decision was taken to focus on ag and look at options for its non-core (GNSS) business. When Hemisphere appointed Rick Heiniger as its new CEO in September 2012, the board also made the decision to find an appropriate buyer for its Precision Products and Core GNSS Development business. A short list of potential buyers was drawn up and the company’s banker, PI Financial, approached this list of companies seeking a strategic investor. After due consideration, UniStrong turned out to have the best overall offer and made the best strategic fit. Hemisphere chose to negotiate exclusively with UniStrong, and UniStrong formed an acquisition team lead by Jon Ladd (ex-CEO, NovAtel), which also included Werner Gartner (ex-CFO, NovAtel), and due diligence and negotiations got underway. UniStrong is a major GNSS player in China, established in 1994, headquartered in Beijing with eight branches in China, Hong Kong and Singapore, and more than 1,000 employees. UniStrong’s principle GNSS products appear to be high-end handhelds with GPS/GLONASS/Compass capability for navigation, high-accuracy surveying, GNSS post-processing and systems integration. UniStrong went public in China in 2009/2010 and raised around $75 million in capital. The Dora handheld with high-precision GNSS, by UniStrong. The relationship between UniStrong and Hemisphere goes back to 1997 when Phil Gabriel first appointed UniStrong as the Hemisphere distributor in China. Things went well over the years as they mutually expanded their businesses. When they began discussing a potential acquisition, it seemed like a natural progression in the relationship. Xingping Guo, president and CEO of UniStrong, took a significant step forward when he entrusted the acquisition to the team lead by Jon Ladd — this enabled a level of trust to be quickly established and allowed for an accelerated acquisition schedule. The main issue to overcome seems to have been identifying, defining and clarifying how the new companies would manage themselves in relation to the markets they will go on to serve. This issue was overcome, and several cross-licenses have been put in place which will allow both sides to hopefully operate without future conflict. Clearly AgJunction will be agriculture focused, and Hemisphere will address that segment by supplying GNSS product to AgJunction under a long-term supply agreement. To establish Hemisphere as the cornerstone of a global business expansion strategy. Going forward, Hemisphere GNSS is planning additional investment including the immediate hiring of around a dozen added staff positions. The Calgary location will retain its product development and engineering capabilities, but manufacturing will be transitioned by May to an existing third-party contract manufacturer. Core engineering and product marketing teams in Scottsdale will see growth, and Hemisphere is expected to begin to leverage the strong product engineering and manufacturing capabilities now available through UniStrong. Hemisphere GNSS will focus on OEM GNSS boards and antennas, marine, survey and mapping, and certain machine control applications. The Vector series compass product line has already enjoyed considerable success with International Marine Organization (IMO) Wheelmark applications for use on large commercial ships, hydrographic surveying vessels, fishing vessels, leisure boats, work boats, and in other general marine navigation applications. Hemisphere will continue to supply Vector as packaged full-function integrated units, also with dual antennas and stand-alone GNSS unit solutions, and in various flavors as OEM components for integrators. (Clockwise from top left) Vector V103 and V113 GPS Compass, Vector VS330 GNSS Receiver, A325 GNSS Smart Antenna. OEM components for integrators will continue to include such receivers as the market-leading L1 Crescent module, GPS/GLONASS Eclipse and miniEclipse, Vector enabled receivers, antenna modules, SBX-4 Beacon receiver and the LX-2 L-band receiver. Crescent P102/P103 OEM board, miniEclipse P300 GNSS OEM Module, PA300 GNSS Smart Antenna Module. Survey applications are addressed by the S320 GNSS survey receiver and the XF series data collectors. Clearly, Hemisphere precision technology will find its way into UniStrong products in China, and COMPASS/Beidou technology will figure largely in Hemisphere’s future. So the transaction will certainly benefit both parties – the basic edict of any acquisition – that the sum of the parts should become greater than they were separately before the acquisition. Good luck to the new international team that is now Hemisphere GNSS!